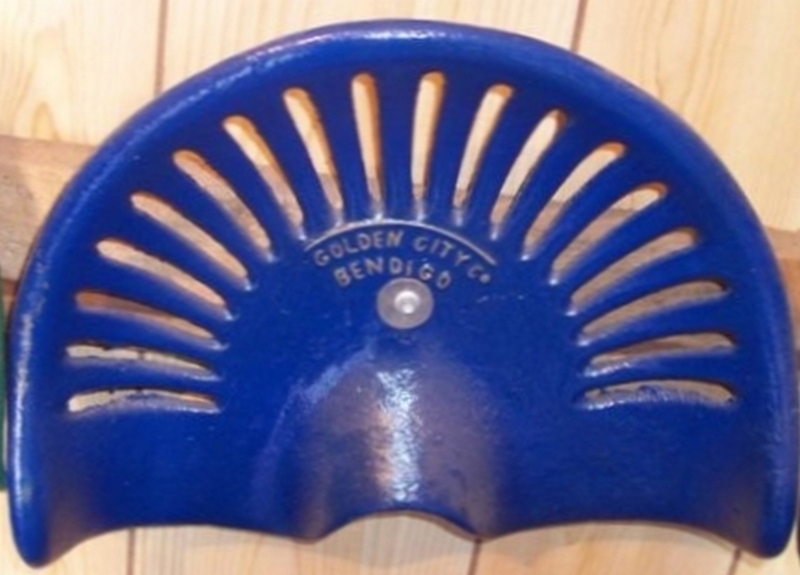 Rare Golden City Co Bendigo Blacksmith made Spanner. 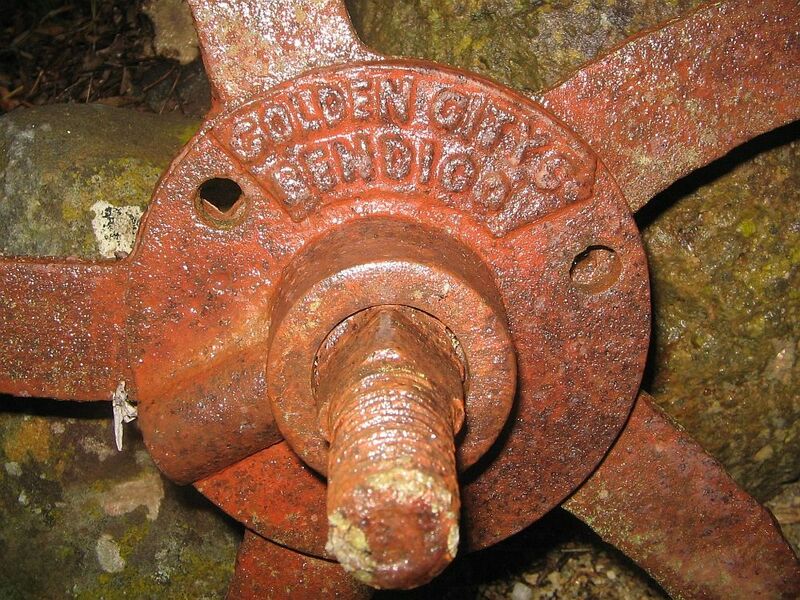 Mark on Rare Golden City Co Bendigo Spanner. 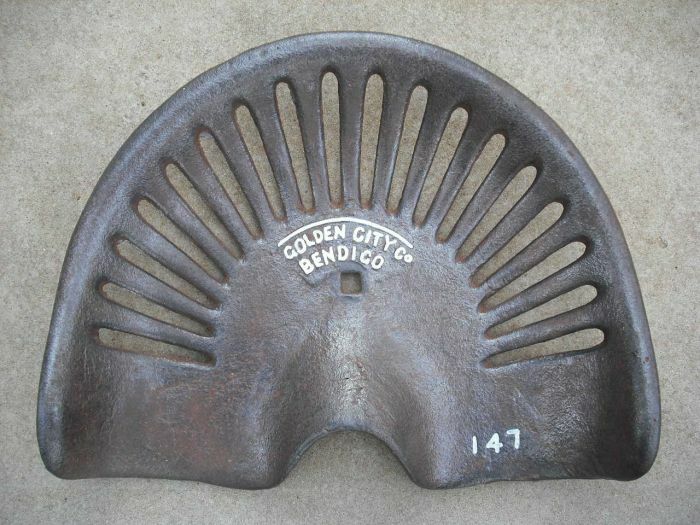 Golden City Cast Iron Implement Seat Type 1b (note missing # 147). 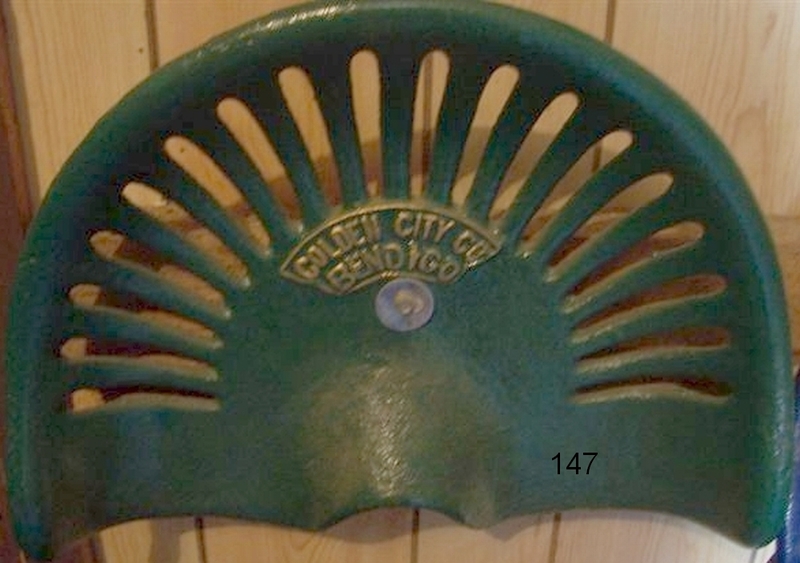 Golden City Cast Iron Implement Seat Type 2a (note border right around name & missing # 147). 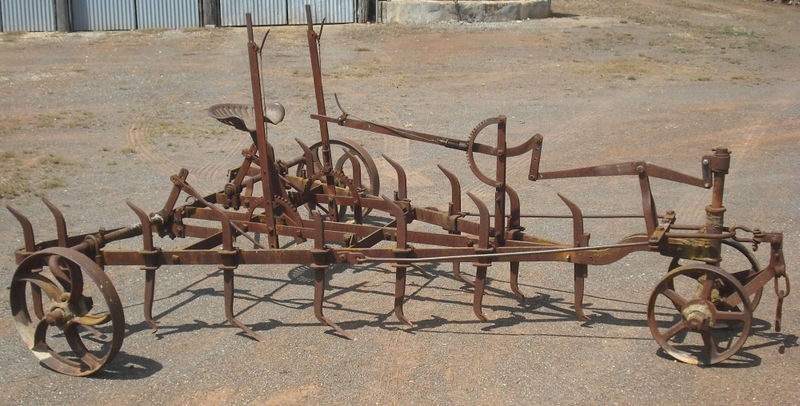 Golden City Agricultural Implement Co.
Sydney OSBORNE, Richard AVARD and William MITCHELL commenced business in 1872 and were known as the CENTRAL FOUNDRY. 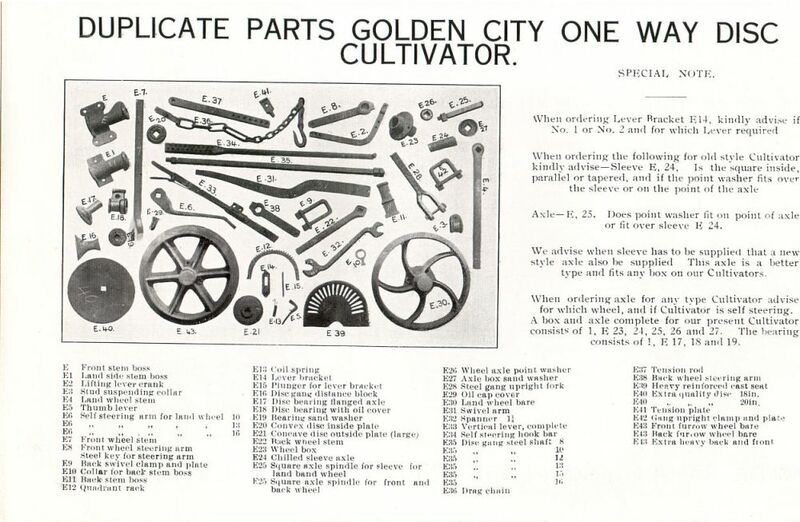 They were soon in financial trouble and branched out into agricultural machinery before selling in 1889 to BRIGGS, SWALLING, WAKE & LEANEY, who renamed it GOLDEN CITY AGRICULTURAL IMPLEMENTS. In 1908 the business was manufacturing drills for the Austral Drill Co. and began to manufacture windmills and farm machinery. In 1930 OH Osborne acquired the business and it remained in the Osborne family thereafter. It is not known when the company ceased to trade, but the factory still stands at 62 EAGLEHAWK ROAD IRONBARK. Seeking further information - please make contact if you can add to this meagre information or supply more pic's of spanners or other interesting stuff. 1. Morawa District Historical Society (website). 2. Victorian Heritage Database, VHR Number H1877. 3. D Symons and C Fuller collections.